Cambria Funds recently launched a very unique ETF. 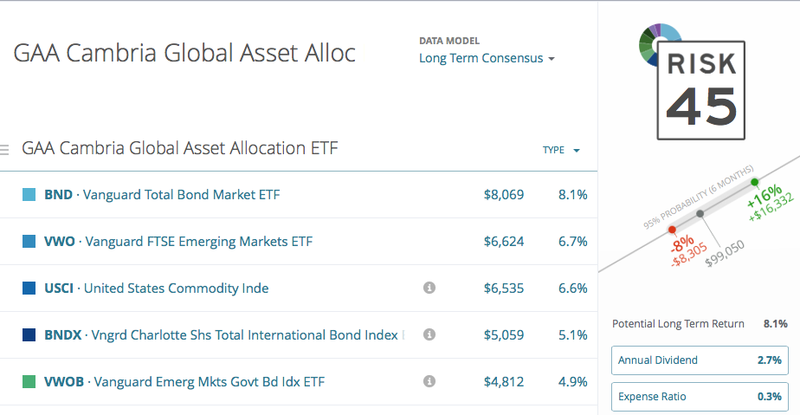 The Cambria Global Asset Allocation ETF (GAA) is a global asset allocation ETF without a management fee. This diversified fund contains approximately 29 underlying ETFs from around the globe, including domestic and foreign stocks, bonds, real estate, commodities and currencies. Cambria’s Founder and CIO, Meb Faber, designed this ETF to be used as a low cost core holding. How would you analyze this newcomer to see if it might fit your practice or portfolio? 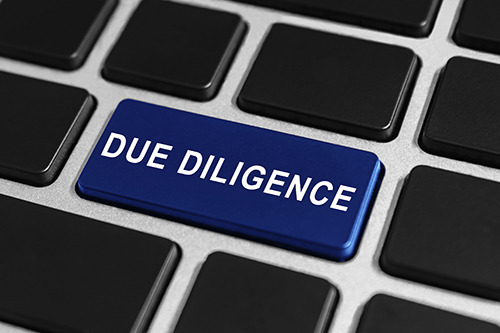 Riskalyze makes performing due diligence on new fund-of-funds quite easy. I simply entered the ETF’s underlying holdings into a new Riskalyze portfolio, for a powerful analysis of this new strategy. It allowed me to quickly determine whether I should consider adding this strategy to my arsenal. The Cambria Global Asset Allocation ETF (GAA) sports a potential upside that is 2x the potential downside, a healthy 2.7% dividend yield, a very low cost (“acquired fund fees and expenses” for the underlying ETFs) and a Risk Number that is far lower than a typical 60/40 (stock/bond) portfolio. I’ll be keeping GAA on my radar going forward thanks to this easy due diligence exercise. Note: Riskalyze doesn’t model investments without 6+ months of trading history, so it will be 6 months until GAA is automatically included in the hundreds of thousands of investments on the Riskalyze platform.